Remember when I told you that itches were among the most annoying body quirks on the planet? Well, forget that guys, because I just found something that will make itching look like a fun group activity. So, how many of you here are super confident in their bowel control and loo etiquette? Oh, so many of you, huh? Well, today we’ll be looking at a sticky, smelly and wet situation with the potential to literally strip you of all your bowel control and thoroughly embarrass you in public. You guessed it; we’ll be probing (no pun intended) all the ins and outs (okay, that one was intentional) of everything to do with diarrhea. Anyway, please forgive all the dry humor, it’s just my way of dealing with all the trouble my sensitive stomach has caused me over the years. In truth, there’s nothing funny about diarrhea. It is actually one of the top reasons that drive people to seek medical attention. Globally, there are an estimated 2 billion cases of diarrhea on a yearly basis. What’s worse, almost 1.9 million children in developing countries under the tender age of 5 actually die from diarrhea. But don’t worry, I’ve compiled the ultimate guide to treating diarrhea that will hopefully save a few lives. But first, what exactly is diarrhea and what are its causes? Also known as diarrhoea in other countries, diarrhea is the condition of having at least three loose or liquid bowel movements on a daily basis according to the World Health Organization. Simply put, it’s just having more liquid bowel movements than normal. Diarrhea can range from a mild, temporary and barely uncomfortable condition to a desperate, life-threatening situation. There are numerous reasons why the condition occurs such as when the intestines push stool out before it can be reabsorbed. But we’ll look into that later. Please note, diarrhea should not be confused with regular, frequent passing of stools that are of normal or reasonable consistency (you’d have to ask your lawyer what reasonable consistency looks like). This is most likely your tummy having a bad day at the office. Similarly, babies that are still breast feeding will often pass loose and pasty stools. This is also normal and should not necessarily be mistaken for diarrhea. So, what symptoms should you be watching out for? Some of these symptoms can be very severe and life-threatening. If your diarrhea is accompanied by a high fever above 102 degrees Fahrenheit (or 39 degrees Celsius), black and bloody spots on your stool and unbearable rectal pain, then make sure you see a doctor immediately. Diarrhea occurs more commonly than you would think. In fact, most people will have about 5 episodes of the condition every year. And some unlucky people such as myself battle it every other month or so. So, what exactly brings about some of these bouts of diarrhea? This is one of the most common causes of diarrhea. It typically occurs when a virus affects your gut. Some of the culprits include the Norwalk virus, viral hepatitis, and cytomegalovirus. For children, Rotavirus is the most common cause of acute childhood diarrhea. When it comes to diarrhea, most people are very quick to point out contaminated food and water. Well, that’s because this contaminated food and water harbors a ton of bacteria and parasites such as Giardia lamblia and cryptosporidium. Another culprit is E. coli that is related to improper food preparation. Drinking untreated water or unpasteurized dairy products can cause viral, bacterial, or parasitic infections that all lead to diarrhea. Virtually any medication such as antibiotics is always guaranteed to cause diarrhea. That’s because antibiotics kill both good and bad bacteria, which in turn disturbs the natural balance of bacteria in your intestines. Similarly, abusing laxatives will also have a similar effect of causing diarrhea. But I’m sure most of you here have already had a few run-ins with laxatives so, I’ll say nothing more about that. Some causes of chronic diarrhea are referred to as functional because an apparent cause just can’t be found. In today’s world, the most common cause of functional diarrhea has to be IBS or irritable bowel syndrome. This condition is a complex of symptoms such as altered bowel habits, diarrhea, cramping, abdominal pain, constipation or all the above. You know what they say, prevention is always ten times better than cure. So before we get to how you can treat your diarrhea, let’s look at all the ways you can avoid it so you don’t have to treat in the first place. Studies have shown that improving sanitation and hygiene leads to substantially decreased cases of diarrhea. These improvements include using water filters, proper sewerage control, preventing open defecation and similar actions. Also, it helps if you follow basic hygiene such as washing your hands with soap and water. This especially applies before handling food and after using the toilet. Hand washing is integral to disease prevention in all parts of the world. One practical and viable diarrhea prevention measure is to get immunized against diarrhea causing pathogens. However, this requires targeting particular pathogens such as Rotavirus that causes 20 percent diarrhea deaths in developing countries. One successful vaccine has been the Cholera vaccine that addresses one of the major causative pathogens of diarrhea. In most cases, mild diarrhea tends to go away on its own. However, doing the following helps cure severe cases and encourage faster recovery. Most diarrhea cases only require the replacement of lost fluids as treatment. This can be done via oral rehydration therapy or intravenously in more advanced cases. You could get ORS (Oral Rehydration Salts) that contain salt and glucose designed to restore lost water and electrolytes back into your body. Commercially available ORS includes Oralyte and Rehydralyte Zinc and will only cost you a few cents. However, there are tons of home remedies that we will look into a bit later on. The World Health Organization recommends that anyone with diarrhea try to eat plenty of food. This will not only restore lost energy, but food also speeds up the recovery of normal intestinal functions. Feed continually and avoid foods with dairy or dairy products which may in some instances aggravate the situation. There are quite a few diarrhea medicines that you could take to ease the symptoms and get relief as well. One of those includes an anti-motility agent known as Loperamide which reduces the passage of stool. Another effective medication includes bismuth compounds such as Pepto-Bismol which also decreases the number of bowel movements. However, these meds do not really do anything for the length of the illness and should not be used if you have bloody diarrhea. Similarly, Bile acid sequestrants such as cholestyramine are also effective in treating chronic diarrhea due to bile acid malabsorption. 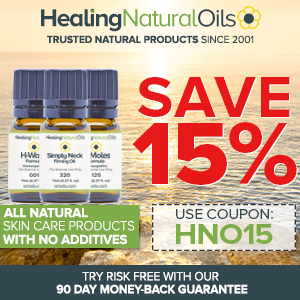 Essential oils have been used for centuries as remedies for pretty much any and everything that ails you. When it comes to diarrhea, no home remedy beats all the different applications that some of these oils have. 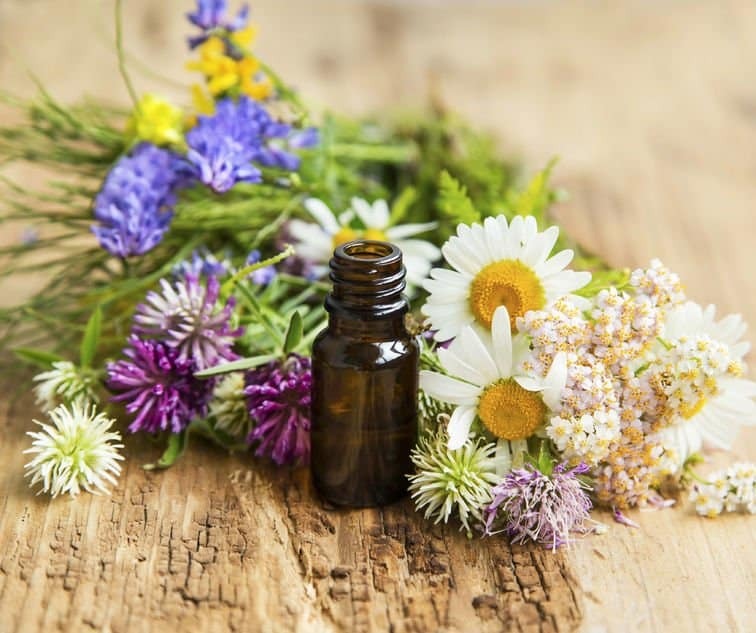 That’s because essential oils contain healing properties such as anti-inflammatory, analgesic, antiviral, antimicrobial, and other properties that make them the ideal, well-rounded remedies for helping diarrhea. But remember, essential oils are highly concentrated and should be used with utmost caution. This especially applies to anyone using it to make ingestible remedies – please consult your doctor before trying those. Lucky for you, I’ve done all the hard yards and present the best essential oils which excel at treating and managing diarrhea and its symptoms. Stick around; you might even get some age old anti-diarrheal recipes to help you put the oils to good use. 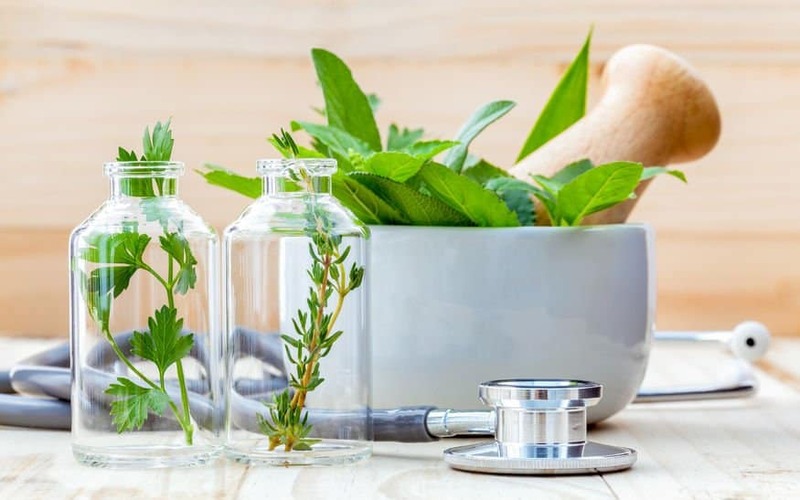 By now, you’ve probably come across literally hundreds of ailments and body quirks that can be treated using peppermint byproducts. This is primarily due to one special ingredient called menthol that is a real miracle worker. Peppermint essential oil has antispasmodic properties that is ideal for calming irritated intestines and bowels from the inside out. Similarly, menthol gives users a refreshing, invigorating and pain relieving effects to cramps and rectal pains caused by diarrhea. Just remember that food grade organic peppermint essential oil must be taken diluted and in tiny quantities. Here’s another jack of all trades that has previously been used in curing itches and general cleaning. Lemon oil is commonly used in most household products as well as medicinal too. Thanks to lemon oil’s antiseptic, antifungal, and detoxifying properties, it can be useful in expelling toxins, bacteria, and viruses that could be causing irritation to your stomach and bowels. This helps you heal much faster. Similarly, the sweet scent of lemon curbs nausea when inhaled. You’re probably tired of seeing lavender on all your beauty products, but I’ve barely scratched the surface of what this magical little plant potion can truly achieve. Extracted from the Lavandula Angustifolia plant, Lavender essential oil is packed with so many helpful components that it should be used as an exclusive anti-diarrheal. For starters, lavender essential oil contains large proportions of camphor, linalool, linalyl acetate, and eucalyptol. But that’s just half of what makes this oil such a powerhouse. The oil also contains sedative, anti-anxiety, antispasmodic, anti-inflammatory, antioxidant, antibacterial, anesthetic, antimicrobial, immune-boosting, and antiviral properties that make it one of the best remedies for diarrhea. Also known as Melaleuca oil, Tea Tree oil has reached peak position in the world of all natural beauty products. But traditionally, some cultures used the tree to treat coughs, heal wounds and alleviate a host of skin ailments. Tea tree oil contains antiviral, anti-inflammatory, and antiseptic properties. It can also kill oral bacteria for up to two weeks, can be used for the treatment of recurrent diarrhea, especially ones caused by bacteria in food and water or viruses. Let me start by issuing fair warning here; Eucalyptus essential oil is not for the weak at heart. Even if you’ve never had a direct whiff of the stuff, you’ve no doubt smelled a product with eucalyptus as the active ingredient. Think Vicks VapoRub or Balm with a strong, concentrate camphor scent. Thanks to its anti-fungal and antibacterial properties, this oil is perfect for curbing some of the symptoms of diarrhea. Similarly, its strong scent makes for a great diffuser solution for keeping nausea at bay. Here’s another extract whose volatile nature and medicinal properties make it suitable for dealing with diarrhea. Apart from its analgesic components that allow it to relieve stomach pains and cramps, ginger essential oil also boasts of anti-inflammatory and carminitive benefits that relieve flatulence for people with explosive diarrhea. But that’s just the half of what this delicious little oil can do. Ginger oil also acts as a digestive stimulant that increases gastric mobility while also neutralizing acids and toxins in your intestines. C’mon, who doesn’t love orange oil? Apart from being among the best smelling essential oils on the planet, Orange oil also contains numerous medicinal properties. Just like all its other citrus counterparts, sweet orange essential oil contains antispasmodic, antiseptic, anti-fungal, and sedative properties that all work great to treat diarrhea. 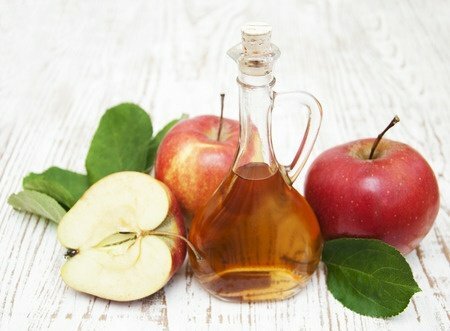 Similarly, the sweet oil stimulates a sluggish digestive system while also calming irritated and abused intestines after a bout of severe diarrhea. As I explained earlier, you need to be careful when dealing with essential oils as they are potent, concentrated substances. That’s why I’ve included some foolproof recipes that have been passed down from generation to generation. Below, you’ll find both topical and internal recipes all catered towards specific types and causes of diarrhea. Ask any doctor and they’ll tell you that the first solid step (all pun intended) towards curing diarrhea needs to start with proper hydration. This means taking in as much fluids as you can. Now, while water is extremely important for recovery, it doesn’t really contain all the necessary electrolytes. Hence the reason why you should try the following hydration recipe. Mix all the ingredient properly and drink as much of the concoction as you can. The sugar helps to promote the absorption of salts which your body need direly after prolonged diarrhea. L’orpur organic lemon oil is safe for this purpose, please consult your doctor before doing so if you have underlying medical condition(s). For food related diarrhea, you’re going to need to cook up about three different recipes, all with different applications. Method – Mix all the above ingredients together with your own choice of carrier oil and rub the mixture gently over your stomach in circular motion and lie down for about 20 minutes. Not only will the blend offer relief for symptoms of diarrhea, but the tingling sensation also cools the belly and alleviates cramps. For this recipe, simply mix 5 drops of peppermint and 4 drops of lemon essential oil with water in your diffuser. The sweet waft of lemon and peppermint will help offer relief for nauseated patients. Method – Open up one vegetable capsule and drop the peppermint essential oil inside. Proceed to fill the capsule with olive oil, close it and then swallow one of these every day for 3 days to treat diarrhea. L’orpur peppermint is suitable for ingestion, however please consult your doctor before doing so in case of underlying health conditions. Method – Mix all the above ingredients in your palms and massage gently over your abdomen in a clockwise direction (don’t ask why). Do this twice a day every day until the symptoms subside. Method – Throw in your Epsom salts while your bath is running and wait for them to disperse. Next, pour in the cup of milk mixed in with all the essential oils. Stir up the bath to mix all the ingredients and hop in immediately. You can soak in as long as you want while you enjoy all the relief and healing properties in the bath. Hey, just because you don’t have any essential oils nearby or don’t want anything to do with medication doesn’t mean that you can’t treat your diarrhea. For anyone in need of immediate assistance, I’ve compiled a list of the best home remedies for diarrhea. One of the biggest concerns for anyone with diarrhea is how quickly the body can become dehydrated. As a result, you should take it upon yourself to take in as much fluids as possible. Experts recommend drinking not less than 16 ounces of fluids every hour on the hour. Apart from water, you could try and drink soups and bone broth that will restore nutrients, amino acids, and lost electrolytes. Other suitable fluids include herbal teas such as ginger, peppermint, oak bark and any non-caffeinated herbal tea. If you are too queasy to drink these, try sucking on homemade fruit pops, ice cubes, and fresh vegetable juices. When you have diarrhea, it’s also important to eat as much food as possible in an effort to restore normal digestive functions. However, some foods will be more helpful to your body than others. Stick with a diet of soft, bland foods that are simple to eat and easy on the digestive system. The best food remedies for diarrhea include eating plenty of fruits and veggies since they are packed with fiber, water, and life-saving electrolytes. Avoid the following under all circumstances if you have diarrhea: conventional dairy, allergens, processed fats, artificial sweeteners, alcohol, carbonated drinks, caffeine among others. That’s right; anyone with diarrhea should rest as much as possible; your body is wasting enough energy and resources as it is. By getting enough rest, you give your body a chance to recover and conserve the fast diminishing energy levels. Generally, it helps if you avoid a lot of exercise or strenuousness activities when dealing with diarrhea. As bananas as this remedy might sound, it’s actually precisely what the doctor ordered. When dealing with recurrent diarrhea, bananas come highly recommended because of their high pectin content. Pectin is simply a water soluble fiber that helps drastically cut down instances of bowel movement, watery, loose stool, and diarrhea. Similarly, bananas are packed with potassium, a vital electrolyte that supports numerous crucial functions in the body. A few ripe nanas a day should really help manage diarrhea. Introducing the least likely home remedy for diarrhea, most people would never even think of using vinegar when sick. However, Apple Cider Vinegar works as quite the effective cure for diarrhea. Thanks to it antiseptic and antibacterial properties, it works magic from the inside by eliminating harmful agents. Just add one teaspoon of the vinegar to a glass of water and drink twice a day until the diarrhea subsides. These are simply excellent sources of good bacteria that work in your intestinal tract to create a healthy and efficient gut environment. Essentially, these can be classified as live microorganisms that exist in certain foods such as aged soft cheese, dark chocolate, cottage cheese, green olives, pickles, miso, natto, kimchi, sourdough bread, and yogurt. You could also try this one here. Plain, white rice is infamous for its binding effect on bowel movements. Not only does the stuff help your stools to become harder, but it also helps restore lost energy. Cook the rice in small, manageable portions and without any butter, sauce or spices to avoid aggravating your stomach even further. There you have it folks, everything on everything you need to know about diarrhea and some things that you really didn’t need to know. Now that you have this knowledge, dealing with your diarrhea will be much easier, stress-free, but yes, still embarrassing (kidding guys). Remember to keep observing sanitation and hygiene even after the diarrhea goes away to prevent a recurrence. So what are you waiting for? Go ye unto the world and diarrhea no more! Could you please give me a recipe for oils to treat IBS diarrhea? I have had it for 35 years. I have to take Imodium with every meal or I am running to the bathroom and barely make it and sometimes not. Can you please help me with this? 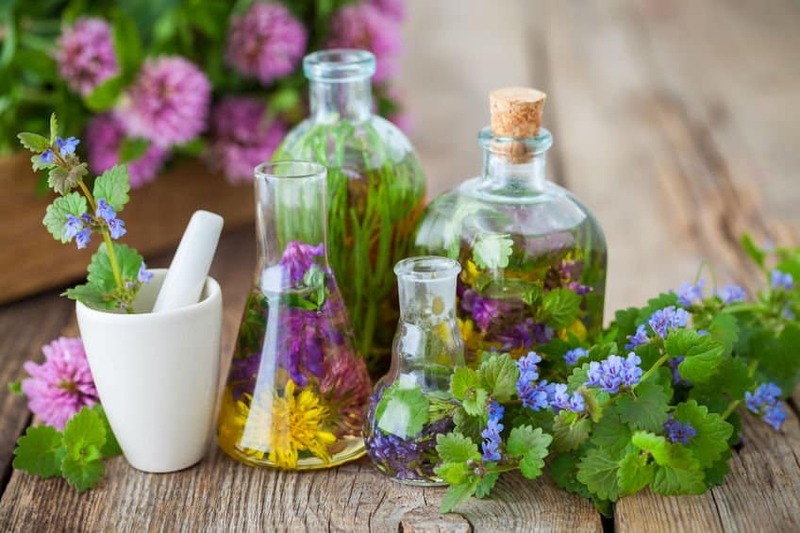 I am delighted that you have decided to include in your newsletter the option to consume essential oils to combat ailments. As i have said before, it can be a very effective way to make you feel better. This adds immeasurably to the value of your newsletters. Although I rarely suffer from diarrhoea I, like the preceeding poster, would be interested in the constipation oils. No worries and I am glad you are still enjoying the newsletters. Stay tuned and I’d be sure to deliver the constipation one within the next month or two. Good Morning Olivia. I just finished reading your info on diarrhea. I found it to be quite interesting as I suffer from IBS (30+ years). I have learned how to live with it with not too many problems and it is a normal way of life for me. But my question is this: my significant other suffers from severe constipation since his gallbladder removal. We have tried diet control, stool softeners, etc. to help him get thru this. I am just getting started in Essential Oils and would like some feedback from you on what to use for his situation. I feel the less over-the-counter stuff and more natural remedies would be of more benefit for him but don’t know exactly which route to go. So any help you can give would be greatly appreciated. I have found the oils have helped with a lot of areas in my life and feel it could help him as well. Thanks!!! I will have a full post on EO for “constipation” in the next month or so. Stay tuned for more information. In the meantime, you can make up a blend consisting of 4 drops each of fennel, ginger, peppermint and lemon essential oils diluted in 1 ounce (30ml) almond or coconut oil. Massage a few drops around the abdomen area whilst paying particular attention to acupuncture points including couple of inches below the belly button and the large intestine. You can also use a similar blend in the bath. Use 15 drops diluted in half a cup of milk (full-fat) in the bathtub, and soak in for 15 minutes.